The Romance Dish: Make Your Reservations! 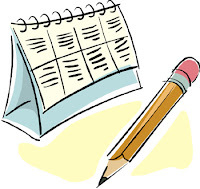 I know it's hard to believe, but it's time again to mark your calendars and Make Your Reservations for August! Here are a few of the romances we are looking forward to next month. Are any of these upcoming books on your list? If so, which ones? If not, which books are on your list? He saved her life… When Annalise Hadley is tossed over the side of her honeymoon barge, the newly minted duchess knows she’s been left for dead—for her husband’s only interest is in her vast dowry, not her muddied lineage. However, she didn’t count on a savior. 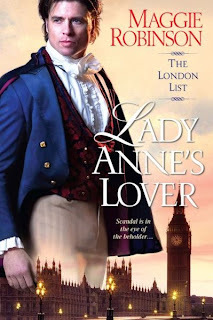 Especially not an honorable, sinfully intriguing earl who will tempt her to risk everything—again. Now he will seduce her heart and soul. A man with his own demons, Owen Crawford, the reclusive Earl of McDowell, is enchanted by the mysterious, courageous woman he rescued. He will help her heal, teach her to protect herself, and then send her away—so that she’ll never see he’s far from the hero she believes him to be. But days and nights alone prove that some secrets are meant to be discovered…some desires are too powerful to resist…and some wounds can be healed only by love. Assistant D.A. Erin Marsden is Serendipity’s quintessential good girl. The daughter of the ex–police chief, she’s never made a misstep, content with her quiet, predictable life...or so she thinks. Until Cole Sanders shows up with heated interest in his eyes and shadows in his past. After seven years of deep undercover work in New York, Cole returns to town to help his aging father and find his moral compass again. Not to get involved with wholesome Erin Marsden. Even as a rebellious teen, he knew a girl like Erin was off limits. But neither can resist their off-the-charts chemistry, and a one-night stand brings complications neither expected. Then a case puts Erin in a killer’s crosshairs, and Erin succumbs to Cole’s take-charge attitude. As a bodyguard, he’s the best. As a lover, he’s even better. But there’s more than Erin’s safety at stake. And Cole must forgive the sins of his past and prove to himself—and to Erin—that he’s capable of the love and the forever she so desperately needs. True Love . . .
Is Worth a Little Scandal . . .
Tristan Burke doesn't want a wife, and one can't trifle with a friend's sister without risking marriage. Even more, Joan's the last sort of woman he would ever choose: droll, sharp-witted, and always unfashionably dressed. If only he could stop thinking about her mouth. Or what she might look like without those horrid clothes. Or the way he can only win an argument with her by kissing her senseless . . . even though that just makes him want her more. But more could lead to a betrothal, which he fears—or does he? To Dance with the Devil . . .
For Virginia Traylor, Countess of Barrett, marriage was merely the vehicle to buy her father a title. Widowhood, however, brings a host of problems. For her husband deliberately spent the money intended for Virginia and her in-laws, leaving them penniless— unless she produces an heir. Desperate and confused, Virginia embarks on a fateful journey that brings her to the doorstep of the only man she's ever loved . . . He's known as the Devil, but Macrath Sinclair doesn't care. He moved to a tiny Scottish village in hopes of continuing his work as an inventor and starting a family of his own. He bought the house; he chose the woman. Unfortunately, Virginia didn't choose him. Macrath knows he should turn her away now, but she needs him, and he wants her more than ever. Whatever game Virginia's playing, Macrath intends to win— one wickedly seductive deed at a time . . . When Ella’s sister decides to reunite with their estranged mother, Ella goes along for the ride—it’s always been the two Preston girls against the world. But Sanctuary Island, a tiny refuge for wild horses tucked off the Atlantic coast, is more inviting than she ever imagined. 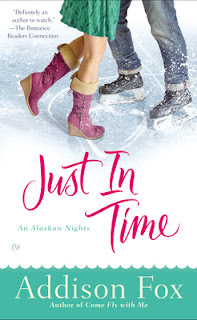 And it holds more than one last opportunity to repair their broken family—if Ella can open her carefully guarded heart, there is also the chance for new beginnings. Grady Wilkes is a handyman who can fix anything…except the scars of his own past. 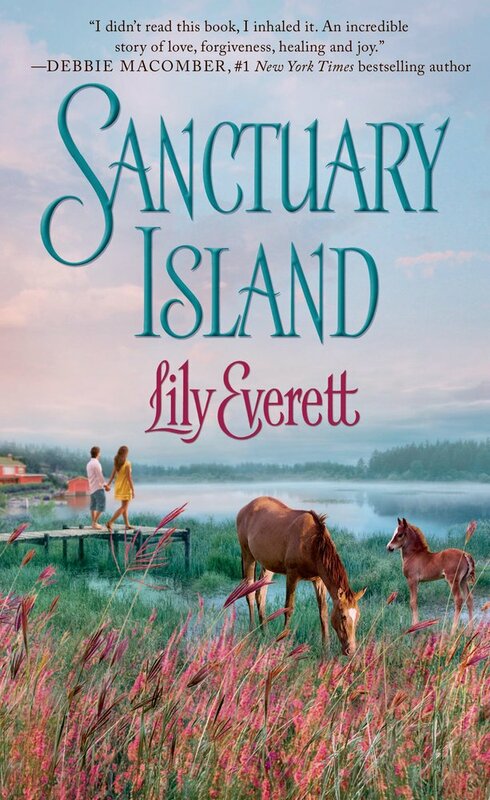 When he accepts the task of showing Ella the simple beauties of the island that healed him, he discovers a deep sense of comfort he thought he’d lost. 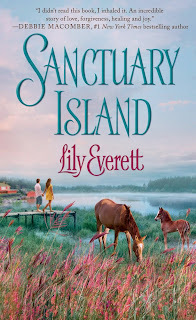 But now he must convince the woman who never intended to stay that on Sanctuary Island, anything is possible—forgiving past mistakes, rediscovering the simple joys of life, and maybe even falling in love. Lady Imaculata Anne Egremont has appeared in the scandalous pages of the London List often enough. The reading public is so bored with her nonsense, she couldn't make news now unless she took a vow of chastity. But behind her naughty hijinks is a terrible fear. It's time the List helped her. With a quick scan through its job postings and a few whacks at her ridiculous name, she's off to keep house for a bachelor veteran as plain Anne Mont. I'm loving all of the books presented. August is shaping up to be a fabulous month, especially for novels. I am looking forward to reading lots of them and am particularly delighted to see Karen Ranney’s new novel coming out. She is so very talented and her novels never fail to be a terrific read. 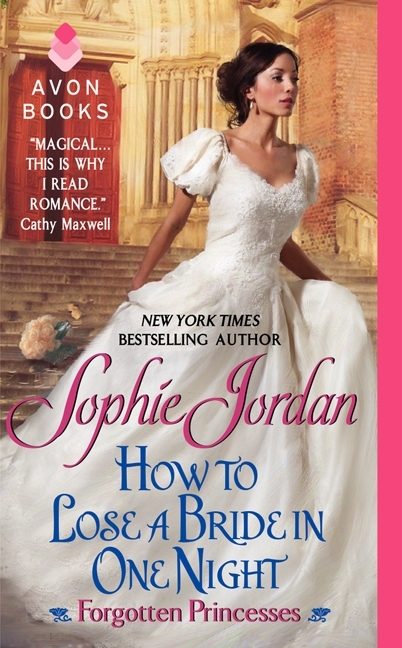 Sophie Jordan, Caroline Linden, Manda Collins and Maggie Robinson are also favorite authors of mine. So, it looks like I will be very busy reading all of these terrific books. Happy Summer Reading to everyone! 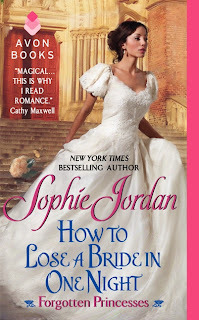 Kathleen, I was excited to find out that Sophie Jordan will be signing copies of HTLABION at the RWA Literacy signing. That's two weeks early! Manda Collins' book sounds good. Maggie Robinson's, too. Her writing is really good, but some of her love scenes are a little more "detailed" than I like. I've read and enjoyed Carly Phillips, Karen Ranney, Caroline Linden and Sophie Jordan. I've heard great things about a couple of the other authors. I'm definitely going to have to check into all of these authors. It's really hard to keep up with all the talentec works of all of these authors. I don't know how you do it. Laurie, it can be hard...which is why I keep a list. I wouldn't be able to keep up, otherwise! Oh, Awesome August, Andrea! I can say that with authority since I have already read the books on your list by Manda Collins, Sophie Jordan, Caroline Linden, Karen Ranney, Maggie Robinson, and Lily Everette (aka Louisa Edwards)along with new releases from Susan Andersen, Nicola Cornick, Debbie Macomber, Susan Mallery, and Brenda Novak. 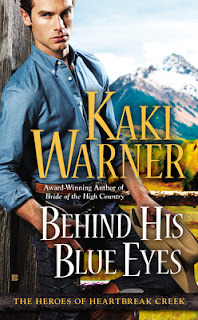 Any month that has a new book from Kaki Warner is a good month. I can't wait to read that one. I'm also looking forward to new ones from Jade Lee, Julia London, and JoAnn Ross, and to Lauren Willig's next (last?) Pink Carnation book. I hope to be able to read a Kaki Warner book one day, Janga! I refuse to believe you lol. July just started!!! Oh, I always want to read each and every historical and some really great covers to tempt me further. There is not one clunker in the bunch! Where will I find the time; I think I'm still backed up to last August! All I can say is that I'm way behind in my reading!!! Good variety !Also, I got an advanced copy of Sophie Barnes' The Trouble With Being a Duke, which is coming out in Aug. It start a new series & very good! Oh, thanks for the rec, Sharlene! You are so welcome, Maggie! Just in Time and Sanctuary Island. I have an arc of the Phillips book. Love my contemps. So many books - not enough time! But I'll certainly enjoy reading as many as I can. You hit the nail on the head, Rachel! Enjoy your reading! Almost every single book is on my TBR list but I'm most looking forward to Carly Phillip's Perfect Fling! Glad to hear it, Ada! I have Carly Phillips' Perfect Fling at the top of my list for August, as well as Susan Mallery's Three Little Words. Love the Serendipity and Fool's Gold series!